The Dow Jones industrial average broke a seven-day slide Tuesday after traders sifted through the market for beaten-down stocks. Investors tried to recover some of the big losses that piled up following weeks of disappointing economic reports. The Dow Jones industrial average rose 57 points after dropping 7.3 percent over the past two weeks to its lowest level since October. The steep drop drew traders expecting to see the market bounce. "There are pockets of opportunity out there. There are some areas with good valuations," said Aaron Reynolds, senior portfolio analyst at Robert W. Baird in Milwaukee. Not all parts of the market managed gains. Retailers slumped amid downbeat comments from analysts and ahead of reports later in the week on June sales. Investors are concerned that a weakening of the recovery will keep cautious consumers out of stores. Macy's Inc. fell 2.5 percent, while Home Depot Inc. lost 1.5 percent. The unevenness to the day's moves signaled that traders remain on edge about the economy. 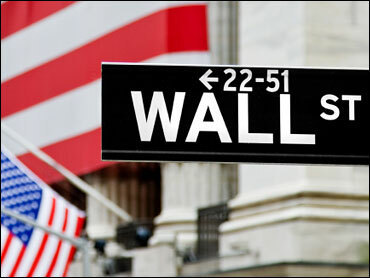 Major stock indexes managed to end higher but more stocks fell than rose on the New York Stock Exchange. The Dow climbed nearly 172 points in morning trading before sliding and then zigzagging between gains and losses in the final hour. Brian Dolan, chief currency strategist at Forex.com, in Bedminster, N.J., said an increase in Treasury prices made it clear that worries remain. "We've obviously ratcheted down the outlook and now it's a question of how much further," Dolan said, referring to the economy. "From here I would expect to see further weakness." Economic news didn't offer investors much incentive to buy. The Institute for Supply Management, a trade group of purchasing executives, said growth in services businesses slowed last month. Its services index fell to 53.8 from 55.4 in May. Economists polled by Thomson Reuters forecast 55.0. A reading above 50 indicates growth. According to preliminary calculations, the Dow rose 57.14, or 0.6 percent, to 9,743.62. The broader Standard & Poor's 500 index rose 5.48, or 0.5 percent, to 1,028.06, and the Nasdaq composite index rose 2.09, or 0.1 percent, to 2,093.88. The market's climb came after stocks dropped Friday on a report found that employers didn't ramp up hiring as much as economists had forecast. It was the second straight month hiring by private employers missed expectations. U.S. markets were closed Monday for Independence Day. Meanwhile, bond prices rose. The yield on the benchmark 10-year Treasury note, which moves opposite its price, fell to 2.94 percent from 2.98 percent late Friday. Crude oil fell 16 cents to settle at $71.98 a barrel on the New York Mercantile Exchange. Macy's fell 44 cents, or 2.5 percent, to $17.41, while Home Depot fell 42 cents, or 1.5 percent, to $27.34. The number of stocks that fell narrowly outpaced those that rose on the NYSE, where volume came to 1.3 billion shares, compared with 1.1 billion Friday. The Russell 2000 index of smaller companies fell 10.06, or 1.7 percent, to 588.91. Overseas markets rose after investors found stock prices more attractive and Australia's central bank issued an upbeat forecast for the country's economy. Britain's FTSE 100 rose 2.9 percent, Germany's DAX index gained 2.2 percent, and France's CAC-40 jumped 2.7 percent. Japan's Nikkei stock average rose 0.8 percent.